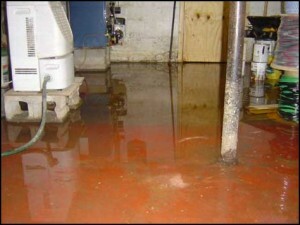 Water damage can be a terrible thing for any homeowner to face. When water damage disasters happen, homeowners don’t always just deal with water extractions and floor restorations. In some cases mold remediation is required to rid the home of disastrous black spores that have formed due to trapped moisture left under tiles or floorboards. In other cases flood water from storms can wash in harmful bacteria jeopardizing the health of everyone in the family. Just ask the top water damage cleanup company in Westchester County what defines a successful restoration, and they will tell you this: returning a home to its previous condition so that nobody can even tell that flooding took place. But do you really want to go back to that same dull floor that came with the home? Aristotle once said that, “Change in all things is sweet”. If your water damage restoration company is going to remove half your water-rotted flooring and replace it with a perfect match to something you have grown weary of, why not just have them replace the entire thing with something that will add more re-sale value to your home? After all, if you ever plan to do this down the road you will have to pay someone for demotion and to remove the unwanted materials to make way for the new. If water damage has already done the demo work, why not have the restoration company replace those floors with something more attractive while you embrace the philosophy of sweet change? What Type of Flooring Should I Install to get the Best Resale Value? When it comes to selecting a new floor, you will want something to compliment your style but it should also usher in more equity and increase the resale value of your home. According to the experts at Realtor.com, the best flooring types for resale value include polished concrete, porcelain and ceramic tiles, wood, and cork. The experts warn against carpet as it has lost popularity and most people hate it because it is a sponge for collecting germs and dirt. If your style screams industrial or industrial minimalism, concrete would be a great option. It comes in a variety of textures and can be stained almost any color or given an acid wash to create a custom look. Once your water damage restoration team has used state of the art drying on your sub-flooring to remove all moisture remaining from your home’s flood, ask them what restoration work needs to be done to make way for a new concrete floor. There are many types of tile out there and they come in various sizes, shapes, colors, and textures. But for the past few years travertine has been the most popular option desired by home buyers, and it isn’t expected to go out of style anytime soon. Travertine is a form of limestone deposited from hot springs and comes in lighter colors. It is extremely high quality and goes with almost every design scheme in the book. Just ask a water damage specialist what type of wood flooring they would want for their home, and they will likely swear by engineered hardwoods. This type of flooring is designed to be easily installed over concrete and it is designed to mitigate possible moisture problems. It is also easier to restore in the event you fall prey to a second household flood disaster. When considering types of hardwood make sure you do your research, as some softer woods scratch easily and are not recommended for people with pets and small children. Cork is another material that water damage restoration pros would install in their own homes and it is perfect for any room—even the garage. If your water heater bursts and flooded your garage, and you were always thinking about turning it into an office anyway, now would be the time to do it. According to journalist Larry Madill, a garage conversion to a home office is an ideal way to use the space if you aren’t using it for vehicle storage. And restoration companies love cork because it is durable and healthy. Cork resists cracking and it is impermeable to liquids and gas. It also bounces back and can last more than 40 years. Best of all, the very nature of cork is mold resistant and no moisture or mildew can ever harm it. It is even impenetrable to termites! If you experience a flooded living room and you have your heart set on installing a new floor that will add style and resale value to your home, ask the water damage specialists for a recommendation. If anything good can come from water damage it could very well be a new interior design addition that will leave your house guests positively floored.